The Greek Crisis has been a long-running drama that’s sucked in all of Europe (and even involved Russia to an extent), but for the most part, it hasn’t directly touched any of the Union’s peripheral countries. That may change, however, after the latest twist coming out of Athens. Per the debt agreement that’s been offered to the country, Greece must surrender €50 billion worth of assets into an EU-controlled account in order to finance the forthcoming loan proposal. 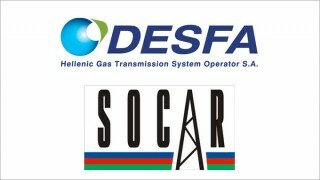 The thing is, it’s presently not known exactly which assets are subject to sale, meaning that SOCAR’s [The State Oil Company of Azerbaijan Republic – OR] 66% acquisition stake in DESFA [Greece’s National Natural Gas System Operator S.A. – OR] in 2013 (totaling €400 million), which has been held up by the EU since last November, might fall under this plan and consequently be either stolen from Azerbaijan or have unrelated political conditions attached to it. The acquisition agreement has been investigated by the EU since last November, ostensibly because of concerns that it might violate anti-trust laws pertaining to the Third Energy Package (the same piece of legislation that sunk Russia’s South Stream plans). In reality, however, it’s more likely that the EU (under heavy German influence) decided to leave the issue open because it senses some sort of political capital in doing so. With Greece now in the crosshairs of its creditors’ fury, the very real risk has developed that Germany (Athens’ largest lender) might gain direct control over DESFA via the €50 billion asset mechanism that was described in the introduction. One must keep in mind that it’s Germany which has been most fiercely pushing ‘human rights’ and ‘democracy’ rhetoric on Azerbaijan lately, as evidenced by the contentious resolution that the Bundestag passed in mid-June. Germany has been the most aggressive actor in attempting to force Western ideology on Azerbaijan, because unlike many of its EU counterparts, it doesn’t stand to receive any direct benefits from the Southern Energy corridor. This places it in a position where it can behave undiplomatically and express its government’s true sentiments about Azerbaijan, which as is seen, are not friendly at all. That being said, if DESFA falls under German control and is privy to Berlin’s political manipulations, then it would pose an asymmetrical risk for Azerbaijan, which is depending on the acquisition of this strategic asset in order to bolster its sovereignty and negotiating position vis-à-vis both the EU and Russia. Before proposing various policy recommendations, one needs to understand the various realities of the present situation. Firstly, the EU, led by Germany, may not take Azerbaijan’s considerations (both moral and legal) into account because of the overwhelming influence that the US currently holds over it. Seeing as how Germany is far removed from receiving any direct benefit from Azerbaijan’s energy contributions to the EU, it’s in the strongest position to act as Washington’s European proxy in voicing certain demands. The US doesn’t just want the existence of a non-Russian energy transit route for the EU (the Southern Corridor), it wants to fully control it as well, which means that it’s entirely possible that certain political strings could be attached to the DESFA acquisition agreement if the company falls under the purview of Germany (acting on behalf of the US, of course). Turkey is steadily slipping out of US dominance and asserting various elements of an independent policy not dictated by Washington, meaning that it’s more critical than ever for the US to control Greece and TAP’s transit through the pivotal country. 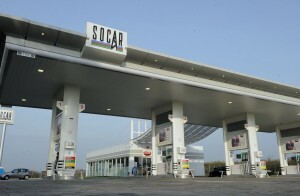 At the same time, it must be recognized that the situation in Greece is actually quite fluid, and although appearing to be resolved for the time being, one can’t completely discount the possibility of future social unrest or an unexpected change in government leading to some form of modification (or outright discarding) of the €50 billion asset plan that is currently threatening SOCAR’s legitimate investment. Azerbaijan must direct its personal resources into reinforcing and building upon its contacts in the Greek Energy Ministry and associated lobby in order to maintain a steady stream of information about this unfolding and seemingly opaque process. Privately reminding its most immediate partners of their legal responsibilities to SOCAR can constitute a discreet and acceptable form of pressure for that could decrease the chances that Azerbaijan gets taken advantage of. Azerbaijan must speak up and possibly launch a diplomatic protest if EU bureaucracy threatens to or actually does sabotage its acquisition of DESFA. This includes any outrageous price hikes that Germany imposes on the company as an implicit bribe for recovering the assets that should rightfully (and legally) be its own already. In a post-sanctions environment, natural gas superpower Iran will be in a prime position to export its resources to the EU, but the obvious question becomes which route it would eventually take. Going through Iraq and Syria as was previously proposed under the Friendship Pipeline between the three states is not feasible under the current conditions (and would likely be preempted by more Western-supported destabilization there anyhow). Connecting directly through Turkey would have the pipeline run right through the heart of Kurdish territory, which would put it at risk of an attack if the West decides to play the ‘Kurdish card’ of ethnic nationalism to punish Ankara for its increasingly independent policies in the future. Therefore, the route that would meet with the least resistance from Iran’s proposed Western customers realistically goes through Azerbaijan before connecting to the rest of the planned pipeline infrastructure further afield. Baku needs to emphasize its geopolitical significance in facilitating the transit of Iranian gas to Europe in order to have its partners more fully recognize its importance in the larger scheme of things. By drawing attention to the fact that it’s the most conceivable route for Iranian energy to follow in transiting to their markets, it can propel its negotiating position and possibly trump any EU (German) political conditions that Berlin may openly or implicitly try to link with the DESFA acquisition. A complementary diplomatic strategy to the aforementioned two could be for Azerbaijan to publicly ponder stopping the TANAP pipeline at the Turkish-Greek border and selling its gas via LNG. This wouldn’t exactly be in the EU’s best interests, since the associated price hike would compound with time to become much more expensive than the money that Brussels would be trying to extort from Baku. Not only that, but Europe doesn’t have the necessary infrastructure to accommodate large-scale LNG shipments, so it would complicate the very core of its energy strategy. Playing hardball in such a manner might thus bring the EU to its senses and force it to reconsider reversing its illegal actions. At the end of the day, Azerbaijan can always make open advances towards Russia (such as discuss joining the Eurasian Economic Union) in order to make the EU not only jealous, but recognize that Baku does in fact have alternatives for its partnerships. One of the most promising trends over the past couple of years has been the rekindling of very warm Azeri-Russian ties, and it’s quite logical (with or without the EU DESFA extortion scenario) to move forward in taking them to the next level. In the context of this article, however, it’s meant that such a move could be strategically deployed amidst a simmering Azeri-EU dispute over DESFA in order to tilt the initiative to Baku’s favor out of fear that Brussels might be losing out to Moscow in the New Cold War game of influence over the country. Andrew Korybko is the political analyst and journalist for Sputnik who currently lives in Moscow. The above article was originally prepared for Moscow-Baku online journal (Azerbaijan), English source text is exclusive for ORIENTAL REVIEW.